In this sequel to Lament: The Faerie Queen's Deception, faeries follow James and Dee to Thornking-Ash Conservatory, where James struggles with his feelings for Dee and with the dangerous faerie muse, Nuala. When Halloween plunges both Dee and Nuala into danger, James finds he can only choose one. Sigh. 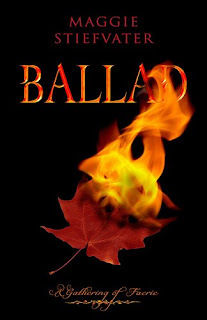 Ballad is due out in October. Doesn't it though? I'm a bit concerned about James.